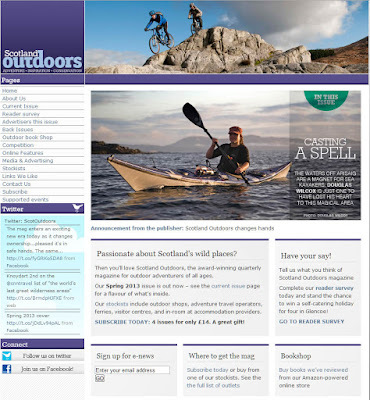 Scotland Outdoors, Spring 2013 issue. 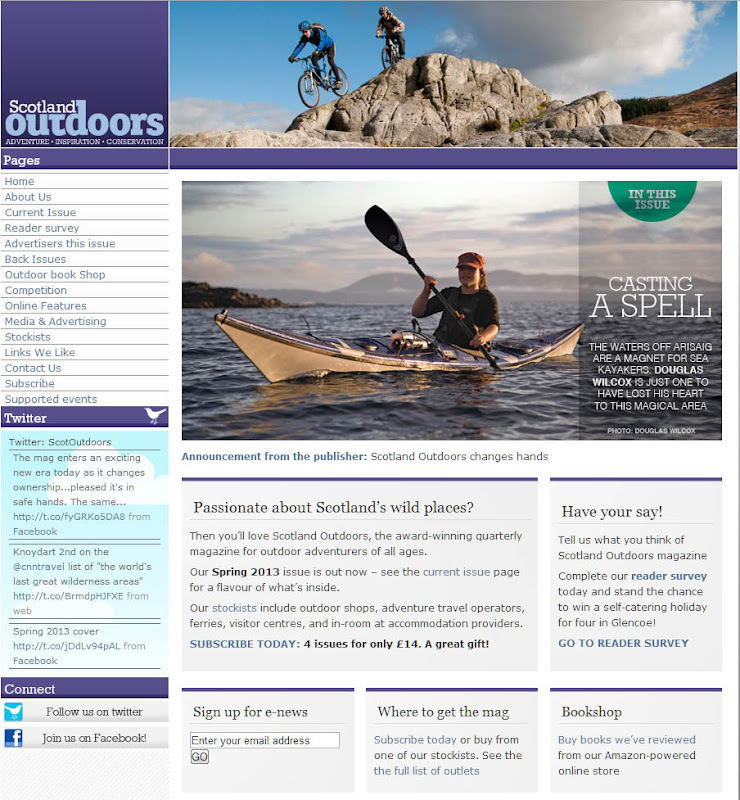 The Spring 2013 issue of Scotland Outdoors magazine has just been published. I was very pleased to be asked to contribute an article about sea kayaking the seas at the end of the Road to the Isles. Scotland Outdoors magazine presents the best in outdoor activities to a readership who are passionate about Scotland's wild places, so it is great that sea kayaking has been given such exposure. Sea kayaking really is a great way to explore Scotland. As an "ex" walker, hill walker, scrambler, climber, mountaineer, skier, cyclist, mountain biker, white water kayaker, dinghy sailor, yachter and windsurfer I should know!